The MULTIPLE-CHOICE QUESTIONS TO PREPARE FOR THE AP CALCULUS BC EXAM consists of SIX multiple-choice examinations. Each of these Exams has 45 multiple-choice questions, divided into two separate non-calculator (30 questions) and calculator sections (15 questions). The book also includes space for students to do their work directly underneath each problem and an Answer Key. Every problem has been specifically designed and written to reflect actual exam questions and to comprehensively test all of the subject matter. They will familiarize you with the format of the test and provide you with the tools to master the Multiple Choice Section. This AP Calculus test prep book also contains a comprehensive list of definitions, formulas and theorems, and helpful tips for the AP test. This is the second edition of the book which reflects the recent changes in the college board requirements for the 2018-2019 school year. ​The DETAILED SOLUTIONS (for the second edition of the book) for each and every problem in the form of PowerPoint presentations are available here. Click on the CD Icon for more details. "Out of eighteen BC (technically AB/BC in one year) students, I had fifteen get a 5 and three got a 4. I used the Multiple Choice Questions... and the Lecture Notes... They were both extremely helpful!! I would recommend both! "​ -Karen S.
"Good collection of problems. I really like hearing students discuss the ideas behind some of them." - Tricia G.
“Extremely rigorous problem sets---many level 5 and beyond questions!” A. C.
"My students did well. Of the 9 students who took the AP Calculus BC exam 5 got 5 and the remaining 4 got a score of 4. 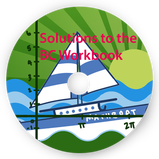 - I have used the Mathboat review workbooks and my students also practiced the questions from the past exam papers. Together, they helped the students get ready for their AP exam. I would definitely recommend the workbooks to other teachers/students. "- Isaiah G.
"I used this book during my first year teaching Calculus BC. Having this many multiple choice practice problems (with solutions!!) was extremely helpful. This is a great resource for both student and teacher." -GeneralBS. "Good book for students seeking to get 4 or 5 on the AP test. "- Haixin G.
"I want to thank you for your excellent products. I've downloaded all 4 Pre-Calc and Calculus courses as well as the Calc AB & Calc BC Multiple choice exams in iBooks. They've been a lifesaver for me as a tutor." - Hanz B. "We purchased this book and the companion solutions CD so my son could self study for the AP Calculus BC exam. We could easily find Free Response practice questions on the internet but finding Multiple Choice questions was much more difficult. We took a chance and ordered this book. The questions were similar to those found on the AP. The practice was challenging and worth it! If my son had trouble with a question, he would refer to the solutions CD and it would be clearly presented. He found it very helpful. He also used the CollegeBoard AP Calc BC practice tests and tests from previous years that can be found online to prepare but there have been some changes in the recent updates on the AP exam. Ms. Korsunsky's book includes those types of problems whereas the old online AP tests did not. I recommend purchasing both the book and the solutions CD. Incidently, my son earned a 5 on the exam! Thank you, Rita Korsunsky! "- Kande129. "My daughter got a 5 on the AP Calculus BC exam! She greatly appreciates your workbook and PowerPoint solutions as many of the exam problems were very similar style to your workbook ones. Thanks!" Janet J. "My son received a 5 on the Cal BC exam. Your book and power point slides helped a lot. Thanks," -Shafeeq S.
"My son took AP Calculus BC exam in May. He earned 5 in Calculus BC with a sub score of 5 in Calculus AB. We used your book and PowerPoint in our review sessions during the last few weeks. It was tremendous help towards our final preparation in improving speed and learning different ways of solving some problems. In our homeschool, your resource was invaluable and very much appreciated. Thank you." -Jasma S.
"After using many Calculus BC preparatory books, Rita's book is hands down the most realistic and helpful resource. It tests all the necessary knowledge to guarantee a 5 on the AP exam. Everyone taking Calculus BC must get this book." - Baltej Singh. "The exam went very well (I got a 5)! The book and power point solutions were very helpful in my preparation and made me feel confident in my abilities going into test day. "- Edward J. "It is little hard to do but I feel like this gave me some practice that Khan academy, Barrons, and previous AP exams couldn't give. I used this and Barrons. Also my calculus used similar problems in the tests so it helped me boost my grade to an A. I also did well on my AP exam so I'm happy." -Dong U. “This book is extremely useful in helping pinpoint areas that you are proficient in and areas that you need help with.” - Elin C.
“I owe my success on the BC exam largely to the time I spent going through all of the problems and correcting the ones I got wrong.” L.M. "Your book has been of tremendous help to me. I remember trying the first question of your book, and failing, because it was so hard but it built my foundation and knowledge of the test subjects very well. The questions are relevant and challenging, prepping me for the actual test, which mostly resembled your questions in many ways (depth, difficulty, and etc). The questions tested concepts from various angles and continually strengthened my foundation. In addition, the formulas and theorems at the back were very, very helpful! All in all, I thoroughly enjoyed your book and benefited greatly from it (probably wouldn't have gotten a 5 if I did not use your book). I am extremely grateful and would give you and your book a 100 out of 10." -Miracle W.
“This is the best book for calc. It prepared me for the Calculus exam and got me a 5. I was confident and finished the entire exam in about 75% of the time.” - Rishi S.
“This is a great resource for AP Calculus BC! It is extremely helpful.” - Lawrence C.
“Extremely Helpful. Highly recommended to everyone taking calculus.” - Angela L.
"It is thanks to your book that I got a 5 on my exam. I would definitely recommend it to other students and have already gotten countless of students at my school that took Calc AB to purchase your book. I will be recommending that they do the same for BC. This book was probably, in my opinion, one of the best resources I had for the exam and the reason why I had an improved score from when I took AB. This was definitely a phenomenal resource that lives up to the reviews I read and what it promised to do. Thank you for creating these amazing resources. "- Alexa C.
“Thanks to this book, I scored a 5 on the AP Calculus BC Exam! The workbook really helped me to reinforce my concepts The six practice tests provided me with a large variety of problems so that I was ready for everything College Board tested me on.” - Yue C.
“This book contains questions on everything that you need to know for the AP Exam. After taking the tests in this book I truly felt prepared. This book is modeled after a real AP test and it shows. It's amazing practice and I'm glad I had the opportunity to use it.”-Mahesh I. "All the problems in this preparation book helped me get a 5 on the AP test! Very thorough and well-designed." - Crystal G.
"The six tests contained in this book are helpful in both identifying probable problems on the Calculus BC exam and in increasing speed and understanding. By the time you finish the book, you will find yourself faster and more aware of possible mistakes. Really great practice if you want to ace that AP exam." - Asma M.
"Finishing this book will make you a master of the test " - Kevin C.
"These questions are very useful and are the main reason why I got a 5 on the AP Calculus BC Exam. " - Vishnu M.
"As a high school student taking multiple AP classes this book really makes you feel prepared for the AP exam. There are different types of questions and it's a great representation of what shows up on the real test. ...It also has questions which trick you the way the AP test does, so doing these problems makes you extra careful to not make the same mistakes. This book is a great resource and will give you an advantage when taking the exam!" -Pallavi C.
"This book really helped me when I was struggling to do well in my Calculus BC class, and even more so when I took the AP test. The questions were all very similar to what one can find on the AP test ... Highly recommend!" -Ethan C.
"This book is your best bet at passing the BC Calculus AP test; the wide variety of questions covers a bunch of possible problems you would run into on the real test. Essentially if you complete this book you'll be set for the exams because you'll already have solved what's on there." "As a high school student who took the AP Calc BC exam, this book was very useful in helping me prepare for the exam. After finishing all the problems in the book, I felt very well prepared for the exam. I highly recommend this book for anyone planning on taking the AP Calc BC exam." -Aryan S.
"All problems ... cover all needed subjects to get a 5 on the test. Questions... are sure to prepare anyone who's planning to take the AP Calculus BC exam." - Winston T.
"This is a fantastic prep book for the AP Calculus BC Exam. Each problem is based off of actual AP test problems as well. After completing the practice exams in this book, I was confident going into the actual AP test ..." -Richard H.
"The questions are of unbelievably good quality, they are just like the ones on the AP exam. If you practice this book's questions, you will be very happy in the test. Korsunsky's book works astounding wonders." -Susan Y. "I used these multiple choice questions to successfully prepare and review for the AP Calculus BC test in 2016. It was very helpful since the questions are very similar to what you will get on the AP test. It is an invaluable supplement to any calculus curriculum/AP test preparation."